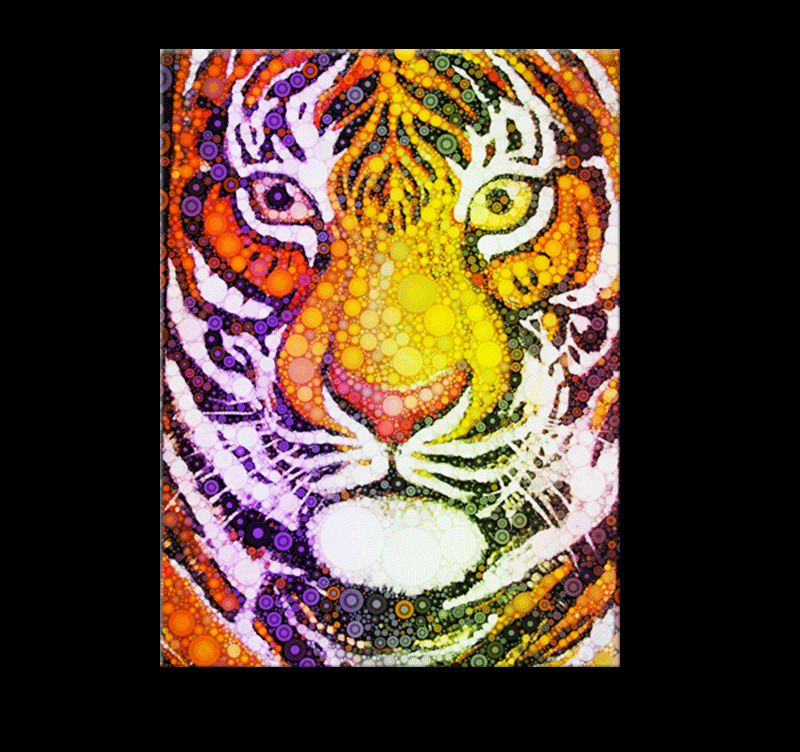 A contemporary portrait of a tiger drawn in a modern style. Be original with this unique canvas print! This trendy art print is 60 x 80 cm (23.62 x 31.50 po). 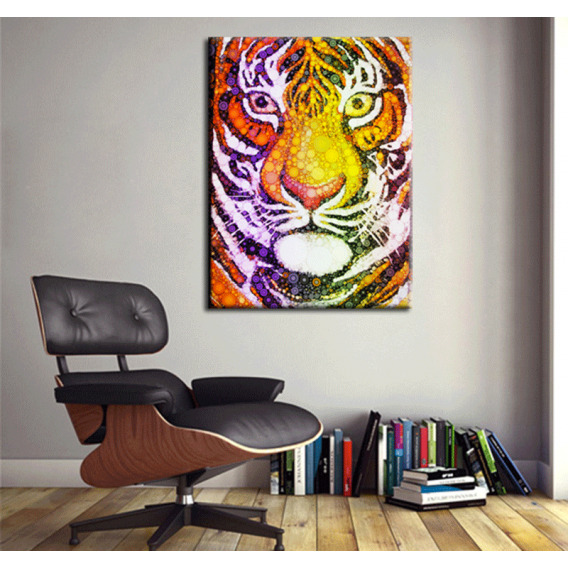 This modern art print features the splendid portrait of a tiger with captivating eyes. The small bubbles make it a contemporary piece and a very original modern canvas. This decorative artwork's vibrant colors dominated by orange tones will sublimate your interior and your living room walls. 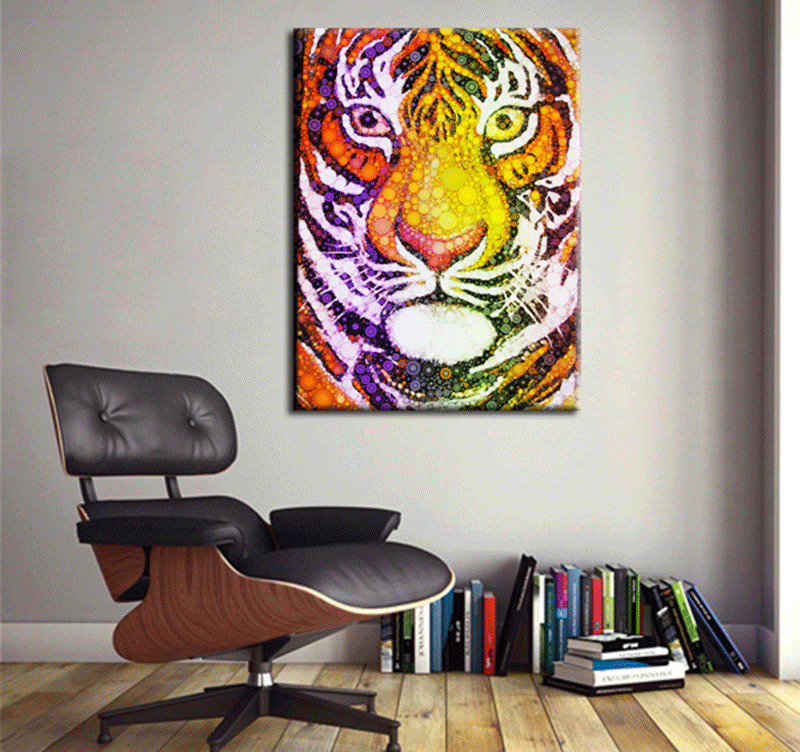 This contemporary animal art print is a must-have! All our modern art prints are printed on cotton canvases and stretched over a frame made of Canadian pine wood, ready to hang. The contemporary art prints are delivered with cardboard corners and hanging hooks. All our photos on canvas are treated to withstand UV and moisture to ensure optimal rendering and lifetime.